You have a right to a safe and healthful workplace. If you’ve suffered an injury on the job, make sure you know what kind of benefits you might receive under workers’ compensation coverage. 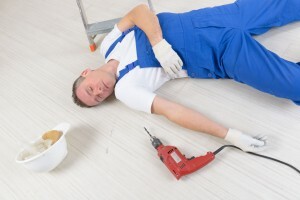 Sometimes an employee is injured (or even killed) as a result of an accident or occupational disease on-the-job. If this should happen, state laws require that your employer or your employer’s insurance company compensate you or your family. Worker’s Compensation is designed to protect workers and their dependents against the hardships from injury or death arising out of the work environment. In some instances, legitimate workers’ compensation claims may be denied by aggressive compensation carriers. If you feel your legitimate benefits have been denied we will refer you to workers compensation attorneys. We refer the workers’ compensation aspect of many cases to attorneys who limit their practice to workers’ compensation, social security and disability claims. We know these attorneys well, we refer a large volume of cases to them and therefore we trust that our clients will benefit from them. Workers’ compensation prevents you from suing your employer. However, we will investigate your accident and pursue a claim against any parties (other than your employer) who may have been negligent. We are always analyzing on the job injuries to determine whether or not there could be potential monetary recoveries against a negligent defendant not protected by workers’ compensation laws. Our analysis is free and we will let you know for free whether or not you have such a case. A lawsuit must be filed before an applicable expiration date, known as a Statute of Limitations so please call or contact us at (760) 231-6498 right away so that you do not lose your rights to money or other benefits.It is important to note, “Workers’ Compensation is Insurance”. Your employer pays for this insurance so you can receive monetary benefits and medical care if you are injured, disabled, become sick or develops an occupational illness at the job. The Law Offices of Jonathan C. Capp is serving Workers Compensation case clients in the following areas San Diego, CA, Escondido, CA, Carlsbad, CA, North County, CA and Coastal Area, CA.